George Ward, born in 1945, is a Pintupi elder who lives and works between Kintore, Kiwirrkura and Warakuna. 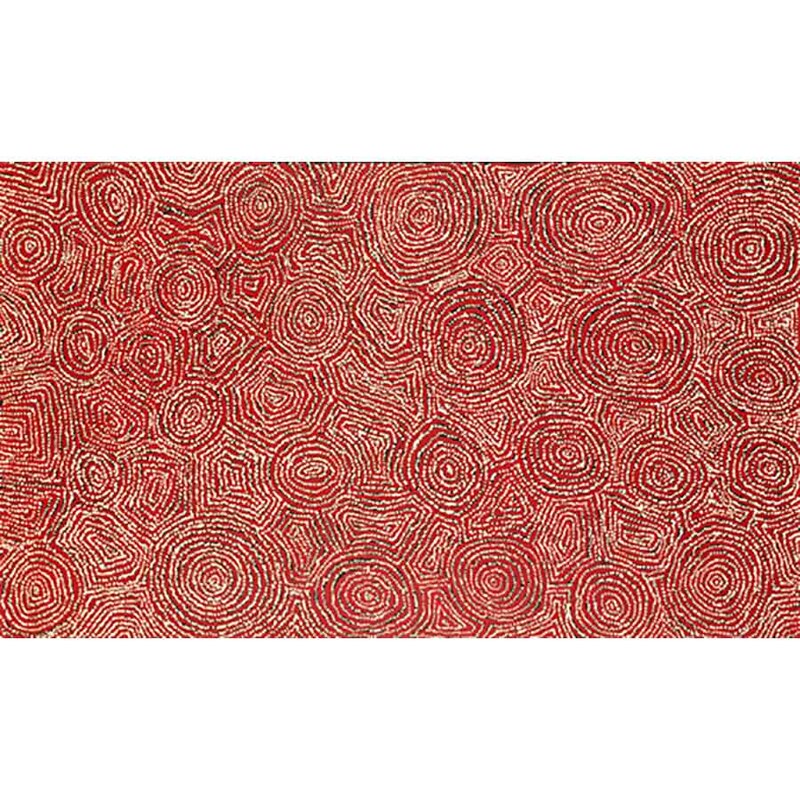 Like many senior artists he began painting in the mid 1970s for the Papunya Tula artist group. 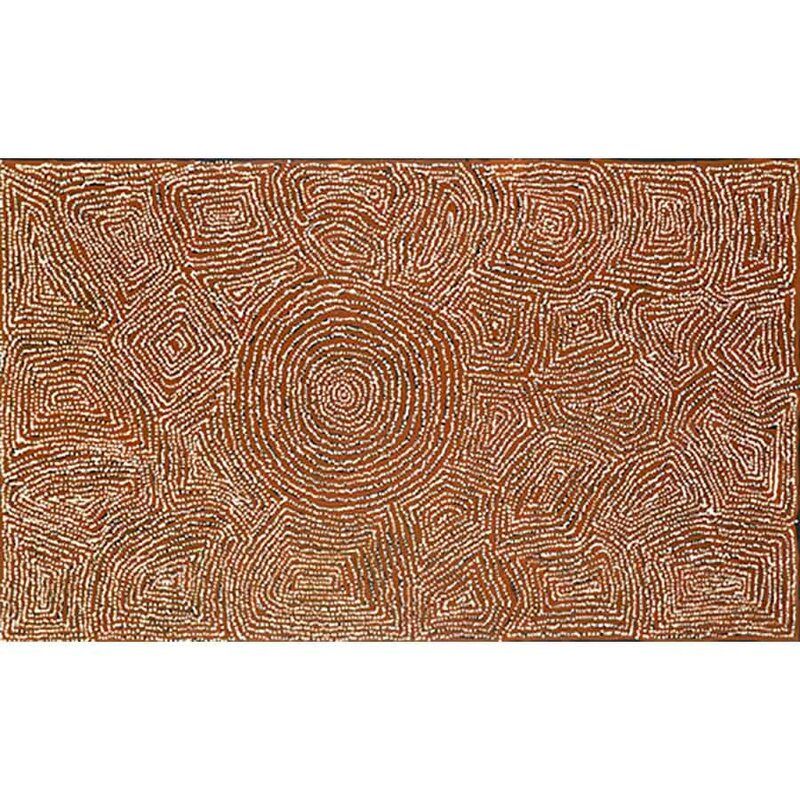 With distinctive linear patterning, George still focuses largely on Tingari stories associated with male initiation and creation stories. Other subjects include Snake, Native Cat and stories associated with Lake MacDonald. 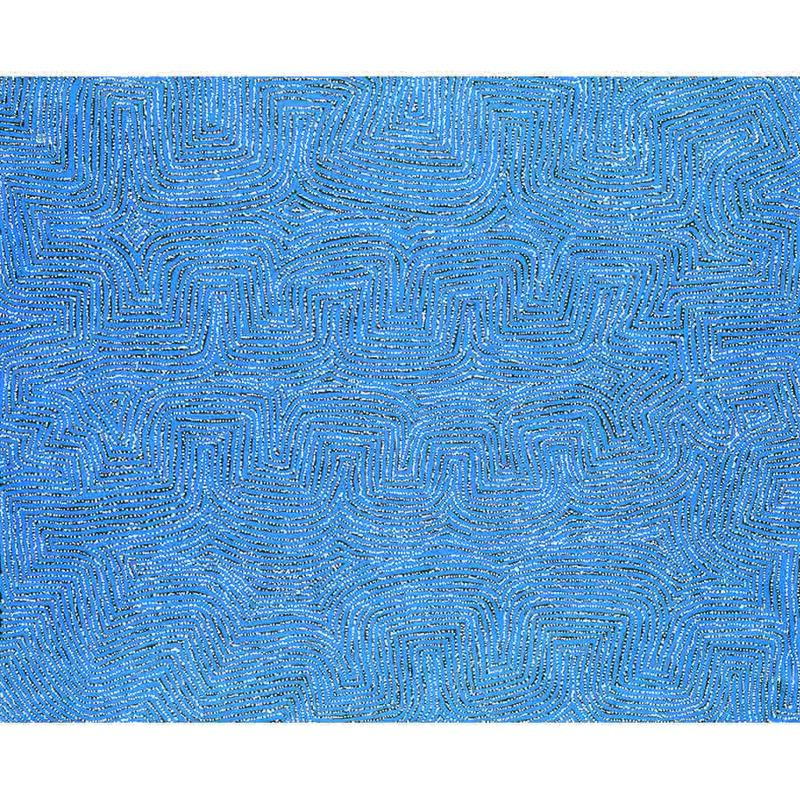 In 2004 he won the Wynne Prize at the Art Gallery of New South Wales. His works are held in private, corporate and public collections. George Ward’s large scale works depict the ancestral desert narratives relating to the country west of Kintore and the region around Lake MacDonald. Often the stories describe journeys taken by the Tingari ancestors as they moved through the landscape, transforming into the structures of the landscape. National Gallery of Victoria curator Judith Ryan stated: He hit on this sophisticated, geometric, filled-in style almost at once. I have the sense that he began to paint only when he was ready, in full command of both story and country – and he seems able to harness considerable power and visual energy almost every time he approaches a large canvas.